Another week, another expensive and previously high-performing manager is sacked after losing the faith of his employers following a period of under performance. So far so familiar, but am I talking about the Barclays Premiership or the world of UK pensions? And what parallels can we draw between the two? At Redington we believe successful fund managers can be identified, and that they have certain characteristics that contribute to their ability to outperform consistently – a number of these were identified in this blog by Mitesh Sheth last year – which not surprisingly went on to become the most read blog on our site in 2013. We look for clear evidence of an edge in these key areas in order to have enough conviction in a manager to recommend them to our clients. 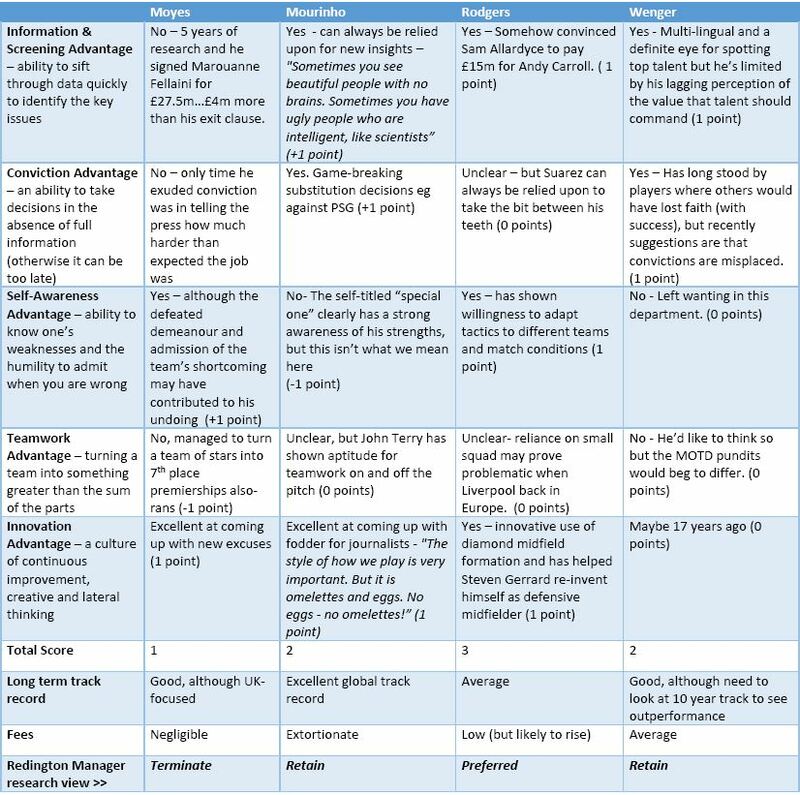 Anyway, back to football, and how would the UK’s current crop of top level managers compare against our criteria? 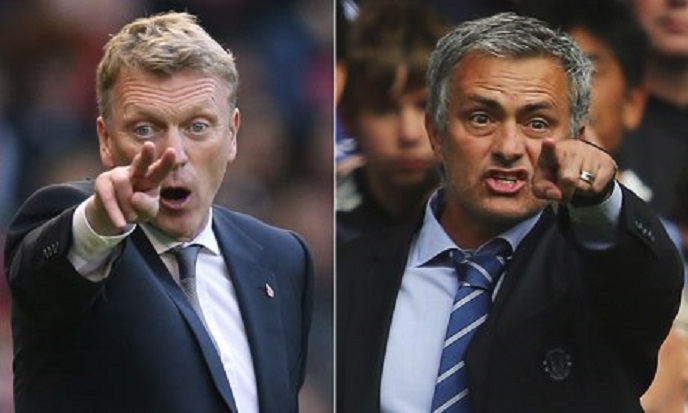 Below we take a light-hearted look and establish a preferred manager, do you agree, and how many of your active fund managers have been in place for longer than Mourinho, Rodgers or Wenger? How do institutional investors use options ? Dan, It’s all very well writing this now, with Liverpool top of the league and Man Utd in 7th place. But what would Redington have said at the start of the season? Thanks Simon – its a great question and a very fair one! When it comes to fund managers, I can only say that in practice we look well beyond the established and popular names and historically have identified the “Brendan Rodgers” of the asset management world well before they become widely recognised! I have no reason to doubt Redington’s abilities in the asset management field. But when it comes to the more important topic of sport, Redington and I have history … see, for example, http://www.dawid.com/2012/06/rafa-meet-lukas.html and http://robertjgardner.co.uk/2013/06/01/15-reasons-why-rowers-make-great-graduates/. Thanks Simon, all fair points. Personally I find sport can be a useful metaphor in a business context but I can accept that any metaphor has its limits and won’t resonate with everyone. Thanks for taking an interest!